The deployment of CCTV Cameras is a fact of modern-day life. These cameras are used by a variety of organisations (such as the Police, Retail Shops, Public Space Facilities, Local Councils, Business Premises, Car Yards, Factories, etc.) to monitor the activities conducted on their sites. The Police and other public organisations use these CCTV cameras firstly as a crime deterrent (on the basis that if you know someone is watching you will be deterred), but also as part of their criminal investigations, as the better cameras (usually the IP CCTV Cameras – see below) provide clear images of peoples’ faces, car license plates, etc. The private sector uses CCTV Surveillance partially to protect its assets (premises, staff, vehicles, inventory, computer systems, etc.) and partly to monitor the activity of staff, particularly around cash registers, entrances and exists. ‘Prevention is better than cure’ is a statement often used by organisations to justify the use of CCTV Surveillance, as there is an increasing awareness by organisations that should their staff become injured (or worse) while on the premises, and particularly if the perpetrator was an outsider, the organisation could face litigation as a consequence. Doing nothing is fast becoming unacceptable so corporations are embracing security solutions in a proactive manner to protect their assets. The use of CCTV Surveillance is a particularly effective strategy, as the better cameras are able to activate on outside movement within the camera’s range, and then are able to transmit clear images of any intruder or other unwelcome guest for subsequent action, should any be required. The costs of acquisition, deployment and maintaining are relatively small compared to the consequences of not having this facility, which is one of the primary motivating factors. 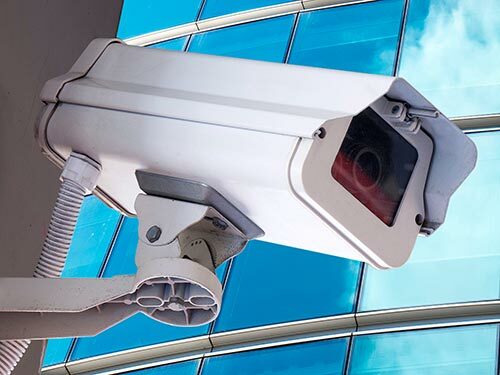 The security industry is dominated by what are called Analog Cameras, and depending on the source of the statistics, it is thought that presently somewhere between 70%-90% of all CCTV Surveillance systems deployed are analog. It should be noted that there are no fundamental deficiencies with the analog camera, but depending on your requirements, the new IP range of CCTV Surveillance (see below for explanation) most certainly provide far clearer images, and ones that can be relied upon to actually identify the person, whereas the analog range essentially struggles with this. However, IP based CCTV Surveillance cameras cost more than their analog counterparts, and generally more complex to install, but that is due primarily to the better-quality images they produce. So, in the final analysis, the decision will boil down to you, the user, understanding what it is you need from the CCTV Surveillance security solution you install, as the solution will be designed to meet these requirements. Camtek Surveillance Products Pty Ltd is a specialist Security Company providing security solutions across all areas, including CCTV Surveillance, Access Control, Building Management Systems, Back-to-Base monitoring, and we use both analog and IP CCTV cameras. Camtek Surveillance Products Pty Ltd will design, install and maintain your customized security system with your requirements as the guide. The purpose of this article is to provide a brief overview of the security market and some explanations pertaining to the analog and IP cameras. 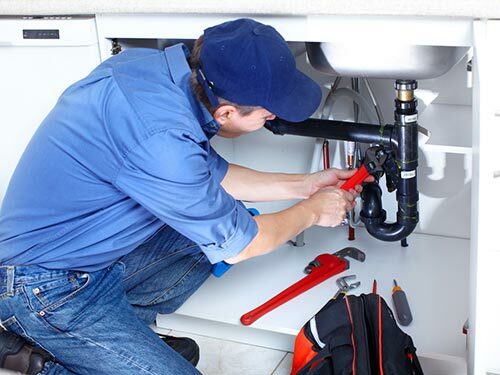 There are a vast number of technical issues involved in designing and installing a CCTV Surveillance security system, and it is for that reason that Camtek Surveillance Products Pty Ltd prefers to understand the needs of the customer first, and then design the solution appropriately. So while our next article will discuss the pro’s and con’s of analog cameras versus IP cameras, the final selection of hardware will depend on a range of non-technical factors, such as the customer’s specific requirements, their budget, the number of cameras, etc. An analog CCTV surveillance camera uses a CCD sensor which digitizes the image for processing, and then transmits that image to the receiver, usually an analog device (video monitor or recorder), However, before the transmission can occur, that image has to be converted back to an analog image so that the analog receiver can read it. Unlike IP cameras, analog cameras have no built-in web servers or encoders but require no technical maintenance. A CCTV Surveillance IP Camera is a device connected to a computer via the internet that digitizes and processes images, encodes them internally, and then transmits the video information digitally over an Ethernet connection to the computer. IP cameras are produced with a range of options, including the facilities of PTZ (Pan,Tilt,Zoom),and can be installed in the form of domes, bullets, box, infrared, covert, and wireless. CCTV Surveillance IP cameras are usually equipped with an embedded web server which means individual cameras can be accessed and controlled over any IP network (using the internet). 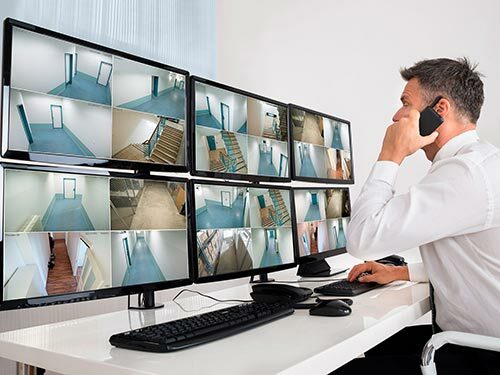 By utilizing a standard web browser, one can view an IP camera’s video output from any local or remote location live and at any time, without alerting those being watched. Being more technically advanced than their Analog brothers, IP cameras could be viewed as just another computer on the network, as each IP Camera has its own IP address (meaning it can be directly and separately accessed through the network) by combining the capabilities of a camera with computer functionality, and is capable of being connected directly to a wired or wireless network. 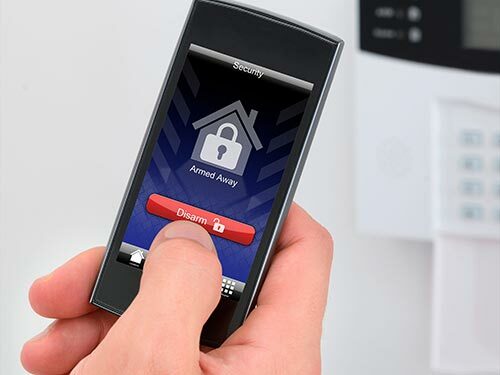 Integrated security solutions can become very complex, particularly if one wants to integrate a suite of solutions, including CCTV Surveillance, Access Control (designed to control who can enter your premises and/or parts thereof) and Building Management Systems (to manage and control utilities, elevators, etc.). Camtek Surveillance Products Pty Ltd is a specialist IT and security consultant, who can both advise and assist with all your security requirements. Camtek Surveillance Products Pty Ltd also has in-house wireless and networking skills, we can continue to undertake both large and complex projects using our combined skill set. Unlike other online (surveillance) stores we have a new physical retail store/showroom located at 296 North East Rd, Klemzig, SA. This means you can come in and speak with us face to face. Customers can actually view our products on display ranging from HD CCTV packages to GPS trackers and everything in between. Camtek Surveillance Products Pty Ltd are fully licensed to sell and undertake the installation of CCTV systems, Alarms, surveillance products in SA.